Oops. Great minds think alike, eh? On the left. On the right. 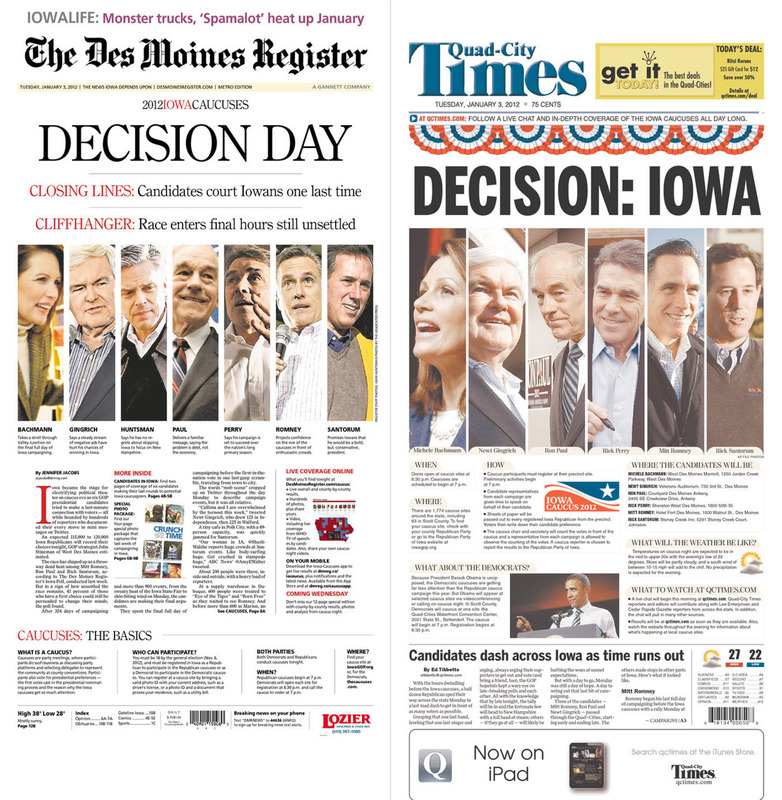 while treatments like this are somewhat unavoidable with stories like the Iowa caucus, it’s worth noting that Quad City did it better than Des Moines, with a cleaner layout and an alt-story format.